Home apps how-to software AVAST Mobile Security & Antivirus detecting everything as a virus? 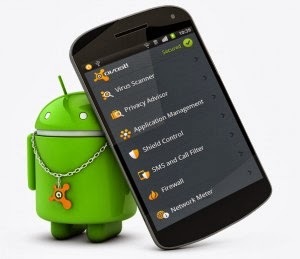 AVAST Mobile Security & Antivirus detecting everything as a virus? This morning I opened my Gmail app on my Android phone only to have it unexpectedly intercepted by Avast as being infected with malware. Strange, I thought. Gmail has always caught malware while still on the Google server. Still, it was conceivable, and so I uninstalled the updated version and reverted to the factory one. Then, a subsequent scan indicated that every app on the phone (50) was infected with malware. I was now very doubtful. One, I did a full scan earlier in the week which indicated no problems. Two, I've installed nothing new nor downloaded anything unusual from anywhere questionable. Three, the current scan showed that each app was infected with a dozen or more malwares. Four, Malwarebytes Anti-Malware, which I've installed in parallel, indicated no problems. Press the Android phone's Home button. If necessary, press the Menu button, or visit your list of installed apps. Tap Settings (or System Settings). Scroll to find AVAST Mobile Security & Antivirus, then tap it on the list. Re-run a full scan. (I was able to link back to the menu system by clicking on the Avast link in the upper left corner of the app screen.). The first time I tried this, I didn't Force Stop first. Repeating the steps above fixed everything. If you're stuck at Step 8 and unable to run the scan, try a full power off and reboot of the phone (which will force stop). Update: Marina Ziegler, Senior Global Communications Manager at AVAST contacted me to acknowledge a bug in their virus database and apologize for the inconvenience. She adds: "If you were affected, please make sure you update your virus signatures now. Go to avast –> Settings – > Updates -> click on 'Check for updates now'." While I tried this initially (before completing the cache wipe described above) it did not work for me, however, I would recommend you do it anyway, if only to prevent the problem from recurring. I just had the exact same problem on my tablet. Turned it on in the morning and Avast! gave me two warnings: Google Play Store and Nova Launcher. I thought that was just a mistake and reported them. But then I let it scan through all the apps: 87 problems! So then I force closed Avast! and cleared the cache, as you suggested. The re-scan now found no problems. What a messy situation it was was this morning, before I had caught on I tried to uninstall one of the "infected" apps until I quickly realized this must have been an error. As my phone was rendered unusable with constant popups and virus notifications I uninstalled Avast. It sounds like the problem has been corrected so I'll go ahead and reinstall once again, hopefully everything is good to go moving forward.